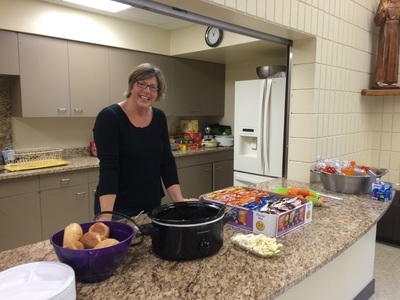 ​The volunteers in the picture from Left to Right are: Jenna Wilcoxson, Travis Krenz, Jennifer Tweet, Laurie Krenz (principal of St. Francis), Jan Spindler, Roger Spindler, Anne Matzek, Chad Wittenberg, Jessy Marks, Dan McMahon, Jeremy O’Neil, Steve Nugent, Drew Pechacek, Asia Lansing. 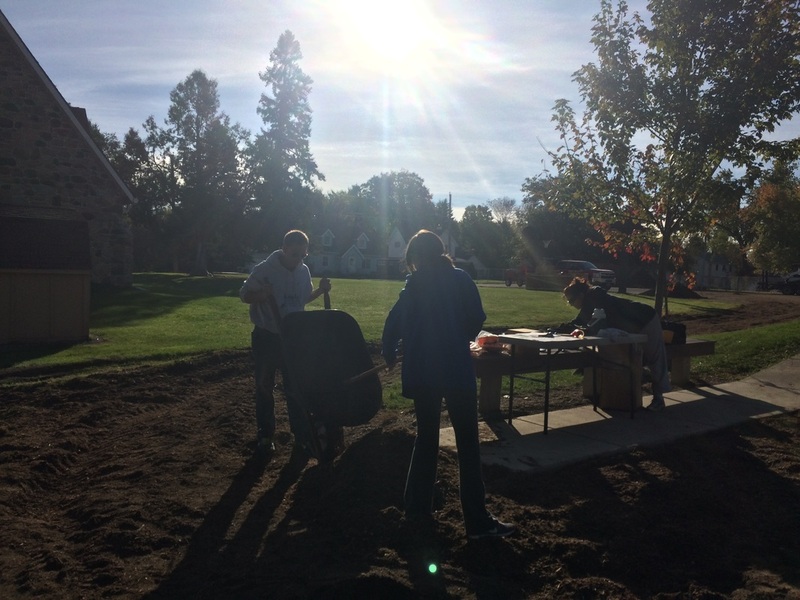 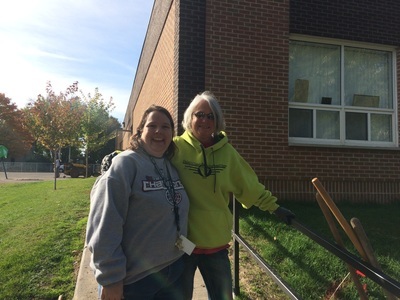 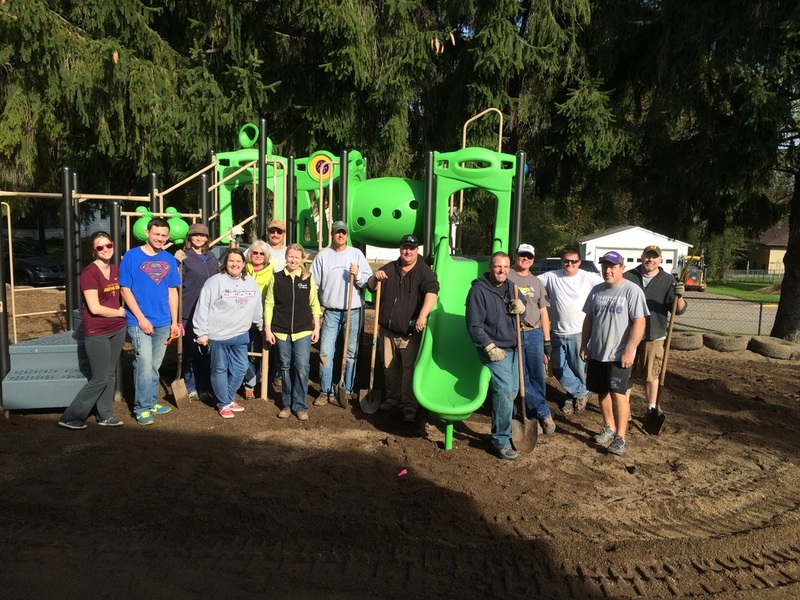 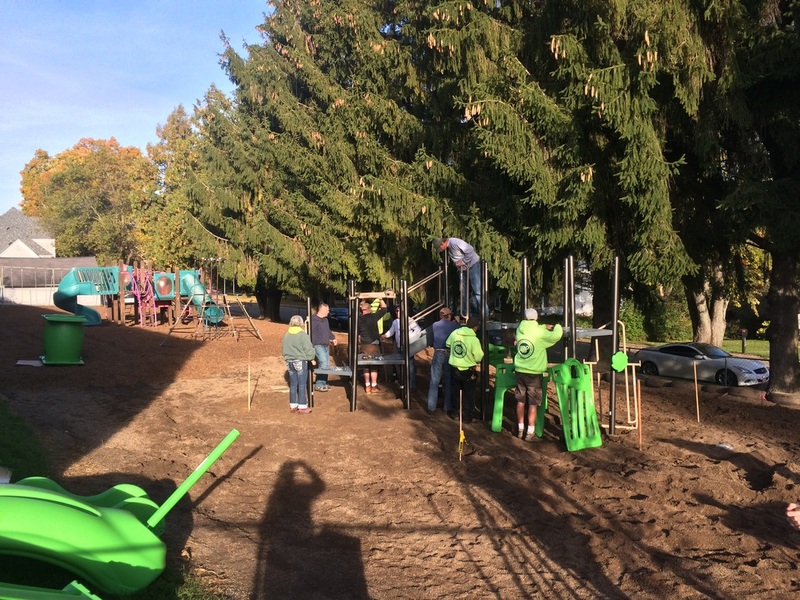 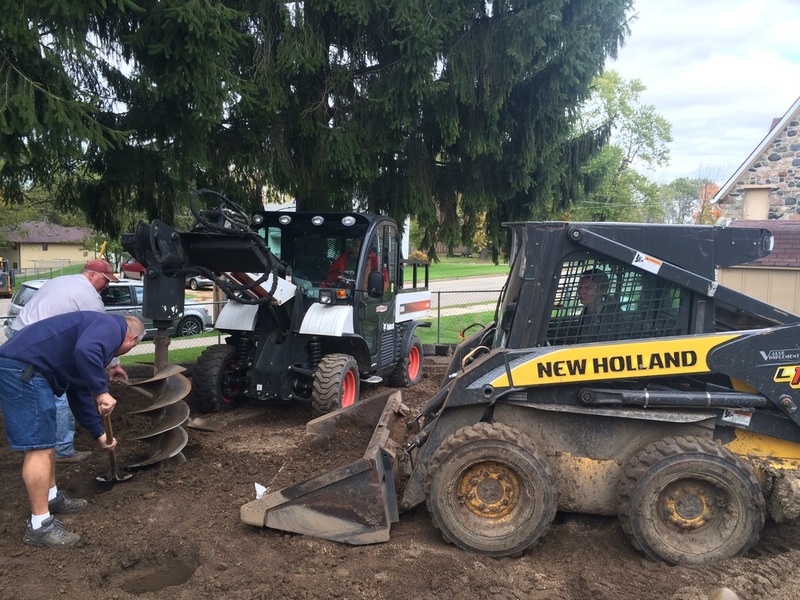 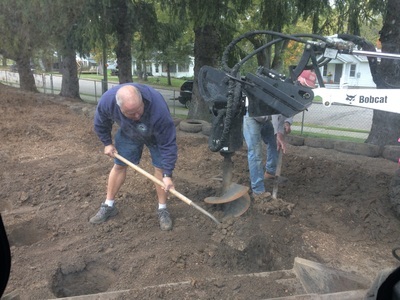 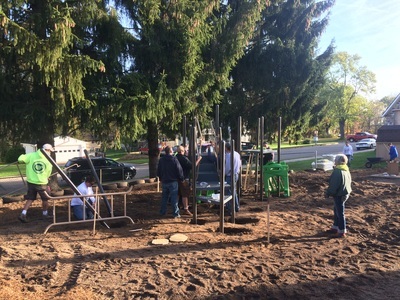 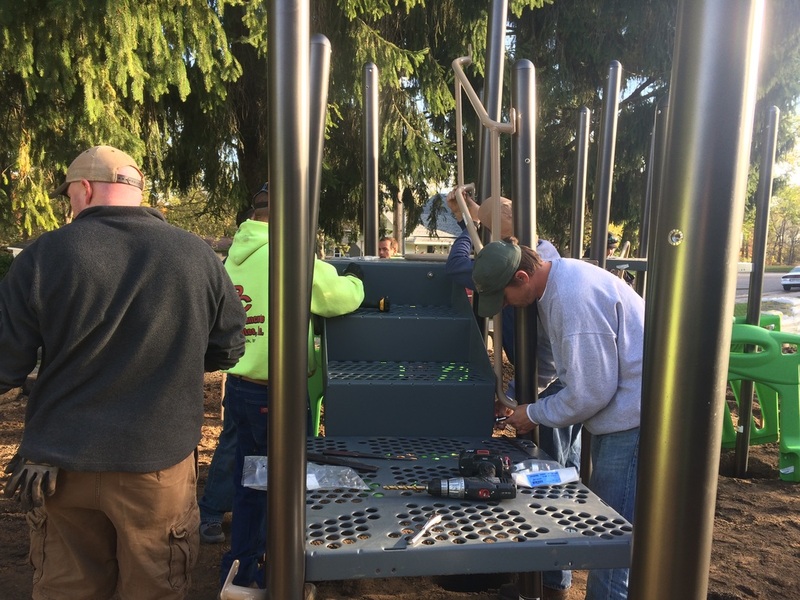 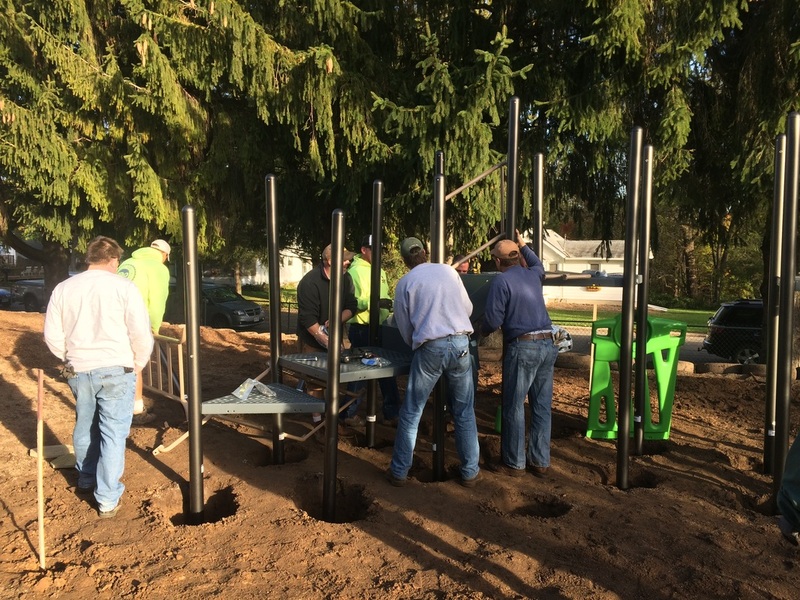 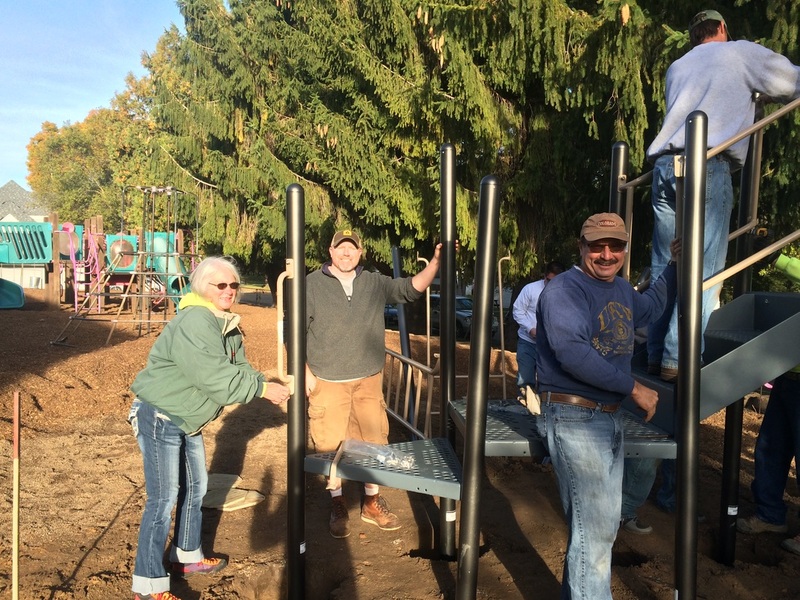 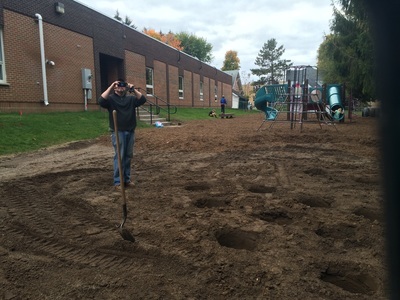 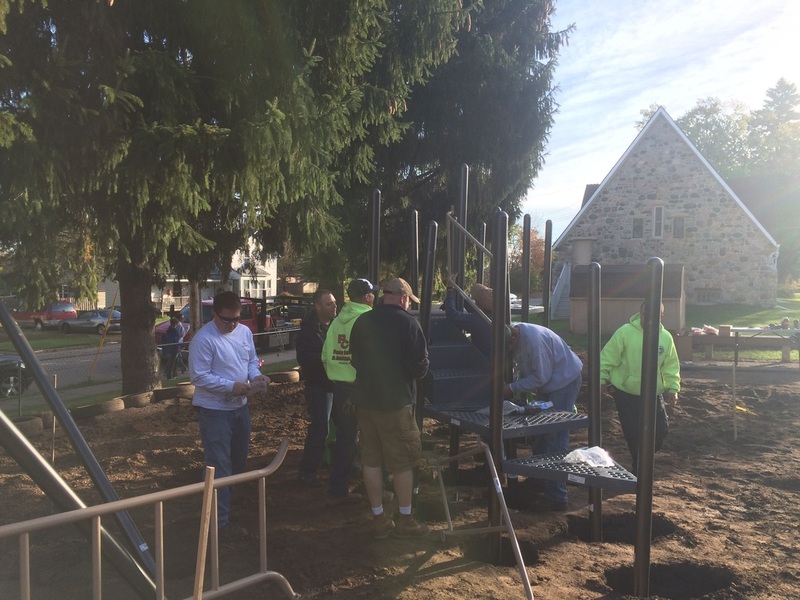 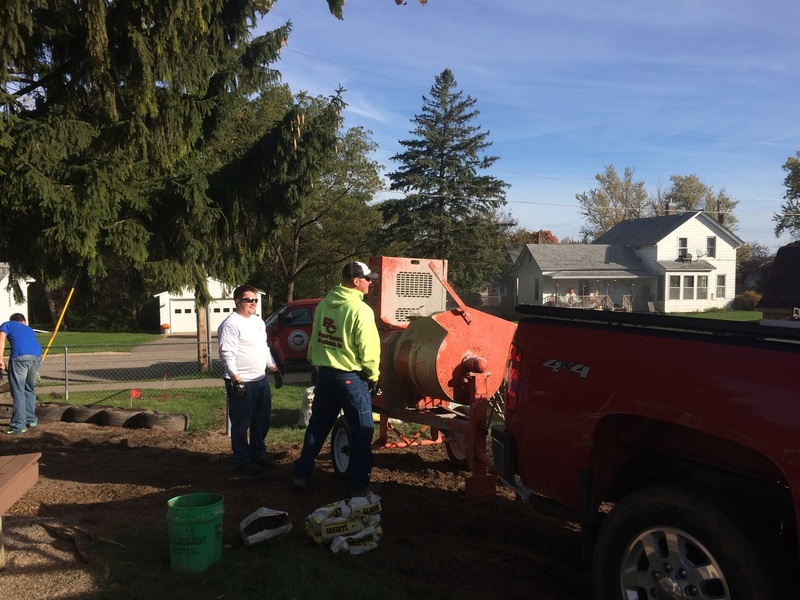 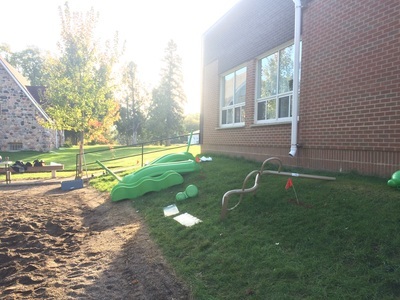 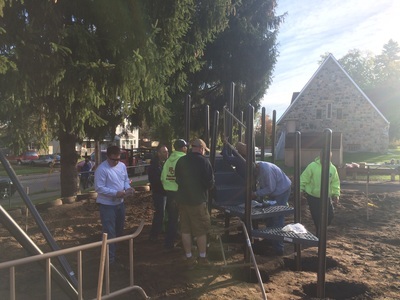 St. Francis school had a great team of volunteers assemble a new set of playground equipment on Saturday, Oct. 10th. 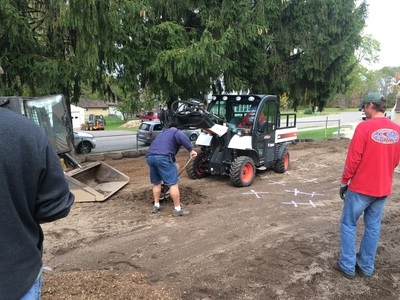 A lot of prep work was done to prepare the surface, removing pea rock and adding a hefty layer of wood mulch that is rated for falls over 5’. 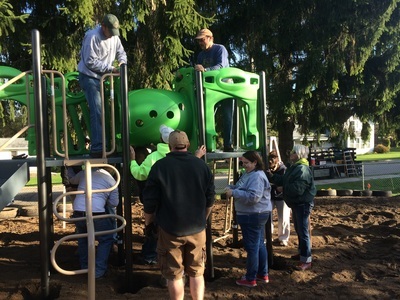 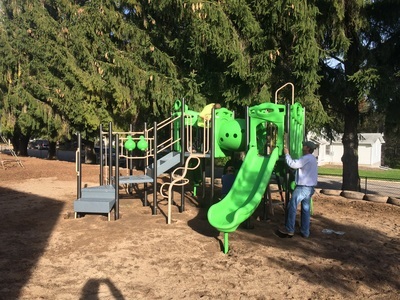 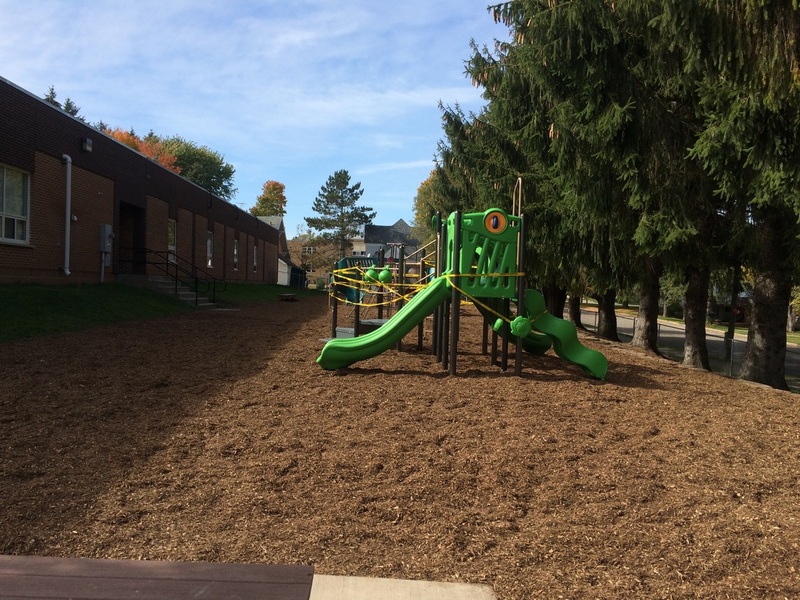 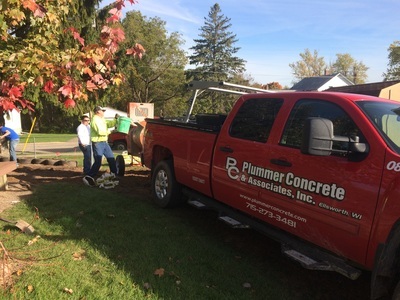 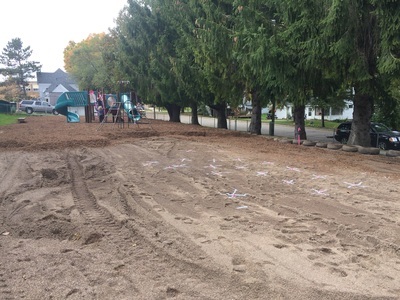 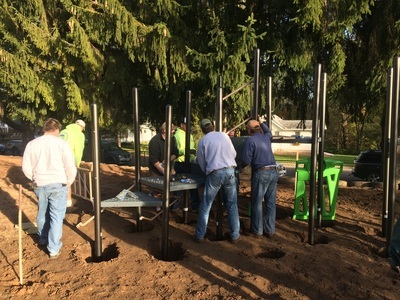 The students that tried out the new surface proved its success, exclaiming “It’s so bouncy!” The assembly day went very smooth with a great group of volunteers, led by a team of two experienced installers from Minnesota Wisconsin Playground. The students were given the choice of two playground sets and voted on their favorite. 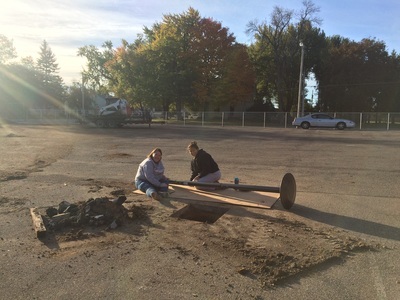 They also worked extra hard on their latest fund-raiser to earn a Toss n Score.